The M10 Catchers Set by Easton is all an adult catcher needs when on the box. Unlike other sets, the design is not just about protection but also to ensure that players can still move well. The Helmet has an ABS shell with vents and a steel facemask for maximum protection while the chest protector has multiple layers of foam with perforation and shoulder caps. 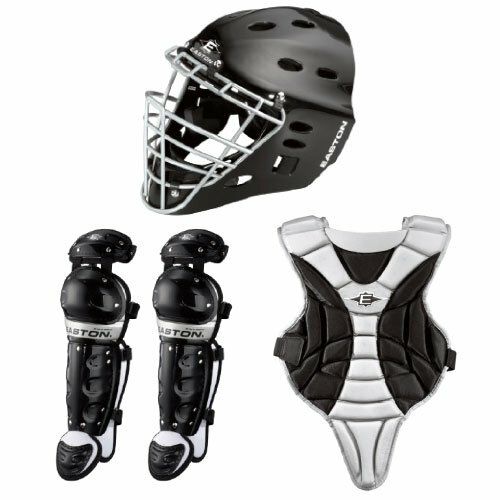 This set also has some fantastic leg guards with TRUBLOCK and an EXOS ventilation system. Helmet: The helmet on this set has an impressive and streamlined profile that ensures that a catcher always gets a snug fit and the rear cap has a smooth radius that makes it easy to remove. It has an ABS outer shell to protect against the ball impact and some strategic vents to ensure that your head remains cool. The facemask is matte steel for maximum protection, and it also has a rubberized finish. 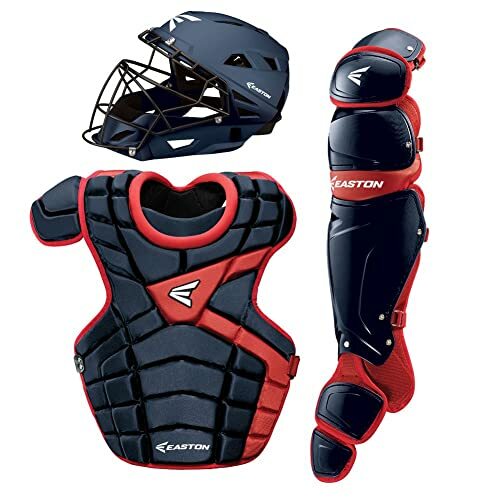 Chest Protector: The multilayer perforation on the Easton M10 chest protector is an outstanding feature as it allows the heat to dissipate fast. It has Zero Shock on the abdomen area that reduces the rebounds and also gives the player better control of the blocks that he makes. This chest protector also has a shoulder cap that is adjustable and over-the-shoulder protection that you can adjust at three different points. Leg Guards: These leg guards have an asymmetrical design for both the left and right legs and TRUBLOCK that will offer players impressive stability when going in and out of a blocking position. The inside section of the knee protection has Zero Shock memory foam for maximum protection, and EXOS ventilation that allows cold air to get in and hot air to get out. Adult catchers get to choose from several color combinations. 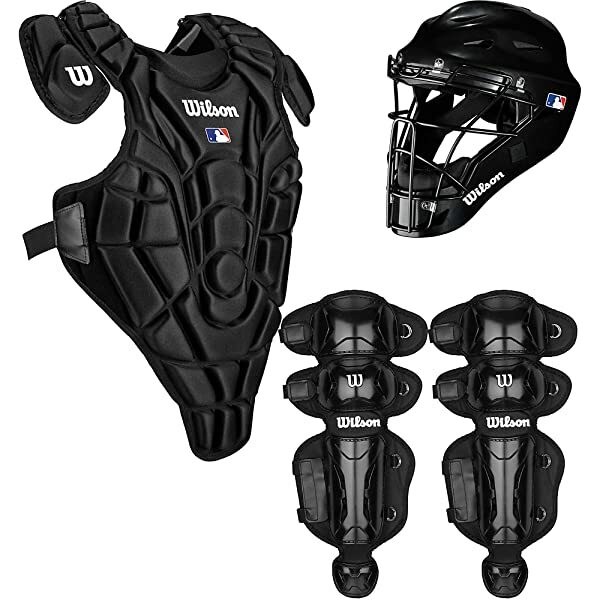 The padding is so excellent that catchers will love getting wild pitches on their chest. Kneepads are adjustable to ensure that you always get a customized fit. Strategic venting on the helmet will make sure that your head always remains fresh. It is lightweight meaning that you get great balance and it will not affect your movement. Chest protector also has an adjustable shoulder cap. The smooth radius on the rear cap makes it very easy to remove. It does not include the essential groin protector. The helmet offers excellent protection, but it is not very durable. Some players might find the chest protector too tight. This set is also quite expensive according to some buyers. You will not get a ball or mitt when you buy it. The Easton M10 catchers set is suitable for players that are 16 years and older. It is very protective set that comes in more than 26 color combinations, and so you can always be confident of finding something that you like. 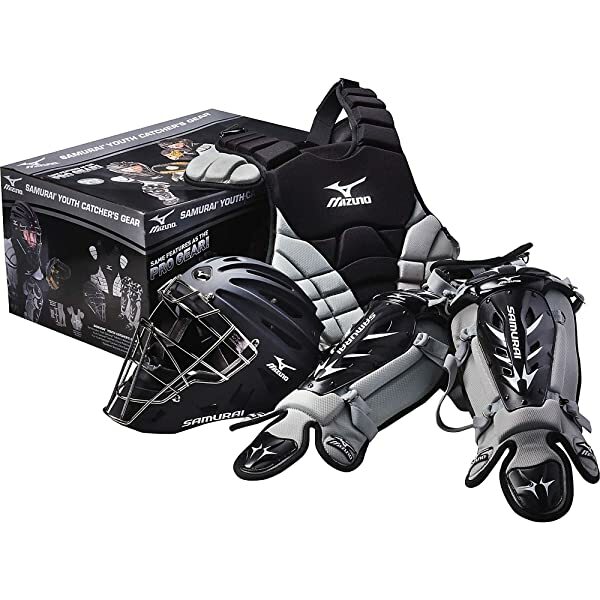 Everything from the helmet to the leg guards is just amazing as it does not just offer a catcher maximum protection, but it is also lightweight enough to ensure that the player can move freely. The padding is also top notch, and the impressive adjustability also means that catchers will always get a custom fit. But, the price and the lack of a groin protector are still significant shortcomings. 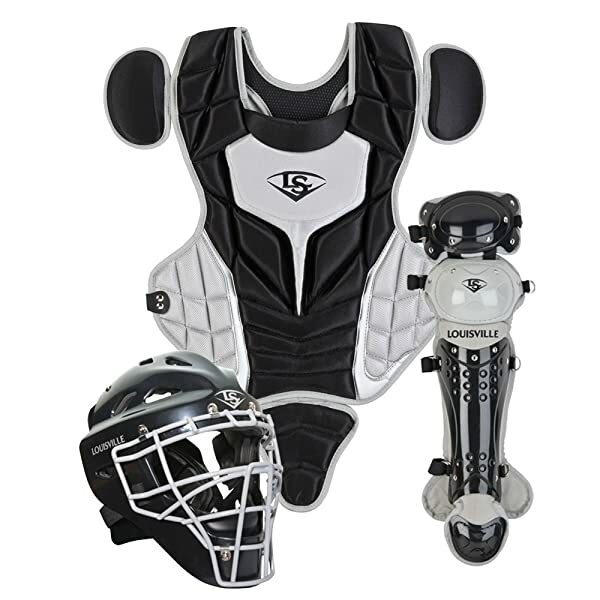 However, even with the few drawbacks, the bottom line is that it is still a fantastic set that any adult catcher will enjoy using.